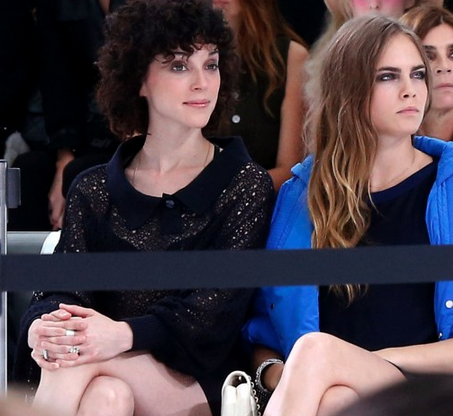 Delevingne was photographed wearing a ring on Chanel’s spring 2016 Show on Tuesday. Just before she have sparked engagement rumours. The ring looks vintage, or might be a vintage-inspired design with tiny diamonds on it. You can see it in the pictures down below. Annie Clark, the musician better known by her stage name, St. Vincent was wearing a matching piece of ring on her finger at the Chanel Airlines Show. The couple sat together in the front row wearing their matching pair of “engagement” rings. Do you think they’re going to get engaged? 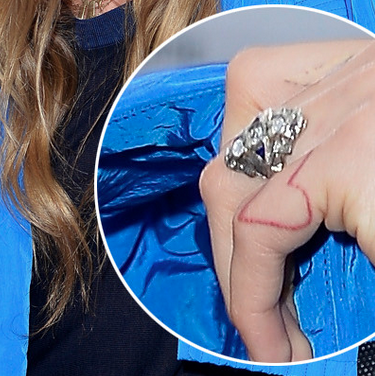 Is it actually an engagement ring? Leave a comment about what do you think on the comments section down below. I would like to read your thought about it! Thanks for reading todays post. Keep checking the Blonders daily!